One of the things I like the most about sourcing is stumbling upon peoples personal websites, their own little place on the internet. Most of the time I find these websites because they’re linked somewhere, either on their LinkedIn profile, GitHub or any other form of social media. It is super cool to see what people make for themselves. They go nuts, get creative, use crazy fonts because when creating your personal website, you don’t have to listen to any managers or PO’s. Okay. But how do I find these sites? Like I said, most of the time I stumble upon them, which is excellent, but how can you find these valuable assets? I’m not going to talk about natural language search, I think already quite some people have spoken and written about this, but of course, it’s also a way to find personal websites. I want to share how you can source for domains. The lists go on and on. I see also a lot of people using local country domains (.nl in my case). One of the reasons to use something else than .com is that most of the time another domain is cheaper (and more fun, like .lol) Also, GitHub provides a service where you can put your own website life by just naming one of your repo’s the same as your profile. One site per profile, see https://pages.github.com/. Lot’s of people use this so that you will find a lot of github.io’s. Let’s take .io as the primary example. 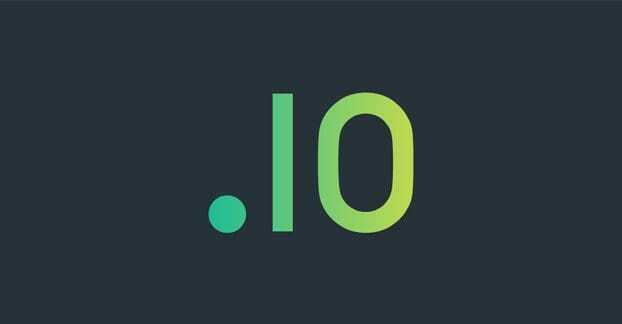 To find personal websites with the .io domain, you can use two different operators, site:io and inurl:io. Most of these sites have an ‘About Me’ section. Include this in your search (or some natural language), and you will get some excellent results. Play with it, include terms, exclude, add locations and find some beautiful websites. A big plus of a personal site that is mostly full of information about somebody. They talk about what they do, what they like, what they dislike and where they see themselves going. Most of the times it’s more rich content than on a LinkedIn profile. Next to that, most of the times there are also contact details on there or an extra way to find these, through whois per example. A nice bonus, with chrome plugins like Sitestack and Wappalyzer you can also check which technologies they used to build the website.